​The hunt is on for the merpeople kidnapping young women and making them disappear without a trace. Each dead end leads to more frustration, making Nicor feel the weight of each missing woman more and more. The police want answers the hellhounds can’t give. A break in the case sends Nicor and his packmates to Sydney—away from home and on less familiar territory. When Nicor and the other hellhounds think they’ve cornered their suspects, an unexpected enemy surfaces and causes mayhem for the hounds—leaving a wounded Nicor behind. Out and about with friends, Jordan stumbles on an unforeseen complication in his long life—his mate. How could a hellhound be his mate? Weren’t they natural enemies? Jordan knows how other Sups view his kind. To make matters even more problematic, the hound has been hurt and doesn’t seem to remember that he’s a demon from Hell or has a human half. 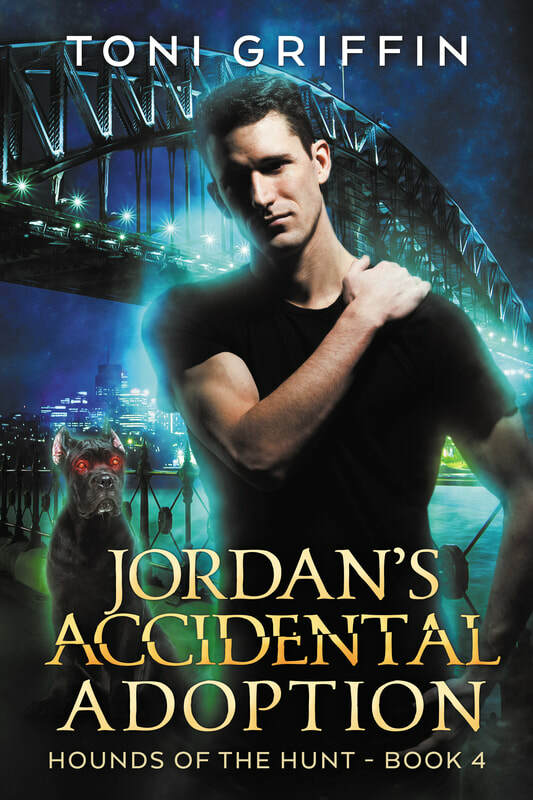 Jordan knows he can’t just walk away, so he takes the hellhound back home to his refuge and studio. One fateful encounter after a gallery showing changes both their worlds forever. The amnesiac hellhound adopts Jordan as his human. Only problem is Jordan isn’t human, and he’s not sure his mate will accept all of him when the hound’s memory returns.